Healthy carrot cookies made with almond flour, coconut oil & maple syrup. Loaded with chocolate, cranberries, and nuts of your choice! Vegan & gluten free. And since you’ll have eaten them all day long, you might want a change of pace for dessert that night. Warm one (or two) of them and crumble over your ice cream. 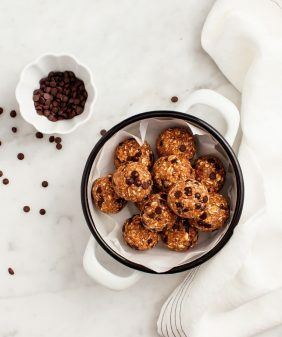 In a large bowl, mix the almond flour, oat flour, oats, chocolate chips, nuts, cranberries, baking powder, and salt. Stir in the carrots. In a small bowl, whisk together the maple syrup & coconut oil. Pour into the carrot mixture and stir until just combined. 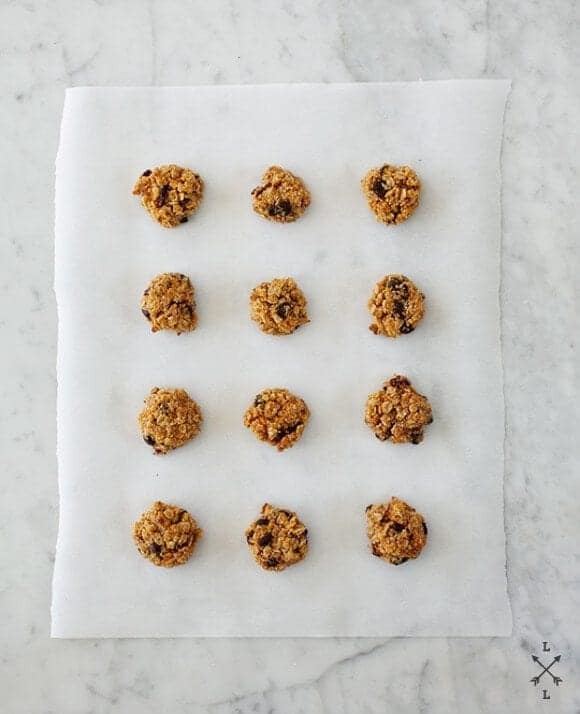 Drop 1-inch balls onto 2 cookie sheets. The dough will be very crumbly and be a little difficult to keep together, but that’s ok.
Bake for 10-15 minutes or until the tops are golden brown. I’m one of those people who loves to nibble on a sweet bite throughout the day, like a squirrel, so these are perfect! 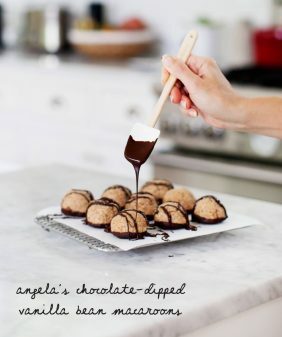 I especially like the idea of serving the cookies warm with ice cream. 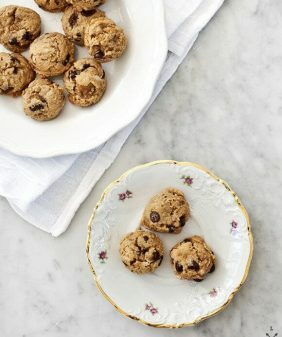 These are one of my favorite cookies recipes. Every time I make them people freak out. I love the ginger + maple syrup + coconut flavor combo! Can’t wait to try your interpretation of them. Love these! I always forget about carrot in sweets! PS, I have to ask, is your background marble counter tops? I love it! Those cookies look like trouble to me! The best kind of trouble. 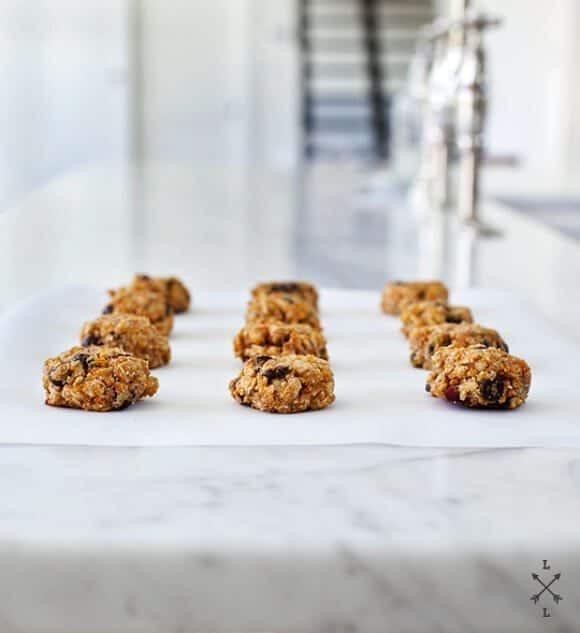 I’ve been meaning to make Heidi’s carrot cookies for a while now, and you’ve got me thinking about adding some sour dried cherries (which are often my post-lunch and post-post-lunch sweet snack already)! I never used carrots in cookies .. wonder why ?!! 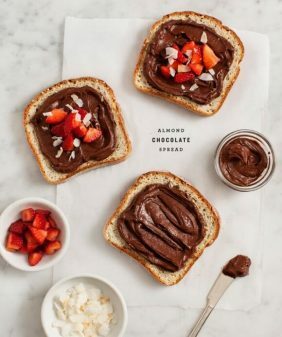 These looks lovely 🙂 Could i use all purpose flour instead of almond flour ? hi there! i am relatively new to your blog…i wanted to let you know i made these cookies last night for today’s busy afternoon with my girls…we usually do not have time to come home afterschool for a snack before their vigorous activities (ballet and gymnastics), so i always bake a wholesome snack and serve with a green smoothie–this combo usually ties them over until dinner time…and your cookie recipe really hits the mark when it comes to my requirements as to what constitutes a ‘snack’ for my kids: wholesome ingredients like a veggie and/or fruit & nuts & wholegrains & anti-oxidants in the chocolate (i use a combo of cacao nibs and 73% chocolate)…in my 10pm late night cooking stupor, i accidentally put 1 cup of maple syrup instead of a 1/2 so my dough was too liquidy, so i added flax meal to tighten it up a bit…and the cookies turned out great…this recipe goes into my keep folder! I’m so glad these made it to you keep folder, thanks for sharing! these look delicious! I can’t wait to try these. Great healthy snack for the kids — and me, too! They’re still a little big crumbly in the end… I think because of the almond flour. If you used whole wheat flour they’d stick together better. Thanks for the response. I’ll give them a try this weekend for a family gathering we’re hosting. I just made these cookies, and my husband is very happy with me. I used what we had around the house: butter instead of coconut oil, cocoa instead of chocolate chips, dried cherries instead of cranberries. I may be asked to make these every week! What a great satisfying sweet, that isn’t too sweet. And gluten free, which is imperative in this household. Loved these! Have been reading your posts for months and finally ordered all the ingredients to make these! Would love to know if the coconut oil is supposed to stay chunkier? Does it need to be smooth? I couldn’t get mine really smooth even after whisking with the maple syrup. Thanks! The coconut oil should be liquid when you use it (you can microwave it for a little bit if it’s solid). In the winter months, my coconut oil in the jar is solid, in the summer months it actually stays liquid at room temp. Yummy!! You were so right when you said these were super-addictive! I haven’t even taken the second dozen out of the oven and I’ve eaten four already…and I really don’t usually have much of a sweet tooth. I’m not a vegan, so I added two eggs, and I also threw in about a teaspoon of fresh grated ginger for good measure! Delicious! This will definitely go in my file of wonderful, healthy gluten-free cookie recipes. Thank you! I was looking for some oatmeal cookies and found your recipe. I made a batch this afternoon and let me tell you; they are simply delicious. Hi! Can I substitute all the flour for gluten free all purpose flour? Or should I just use almonds and oats? Thanks! 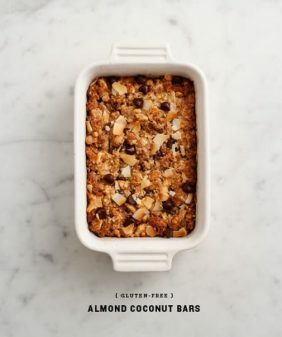 Hi Maureen – I’m not sure, I haven’t tried these with a gf all purpose mix – the almond flour gives a nice texture. I think it would be safe to use a 50/50 mix of almond flour and gf-all purpose (and skip the oat flour). Hope that helps!! What can I use to sweeten instead of maple syrup. I am a fan of truvia, which is a powder. We do not use sugars, even maple syrup, unfortunately. I stumbled upon this recipe and seems like its a perfect weaning snack for my toddler. Perfect nutrition with great taste. Unfortunately mine are not holding up well. They taste cook but crumbles when you try to lift it from the pan. They;ve been cooking for nearly half and hour now and still won’t hold. 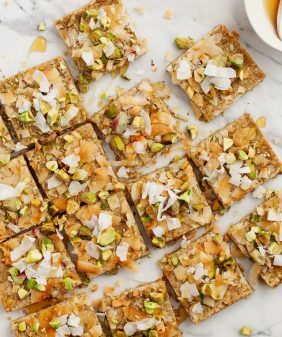 Wondering if the almond flour is something other than just simple almond nut crushed?